A lone traveler on Kauai discovers there’s more to the islands than he thought. All he had to do was Let Hawaii Happen. From movies, TV and generations of postcards, people have a perception of what they think Hawaii is. MVNP’s new campaign for the Hawaii Visitors and Convention Bureau works to change those perceptions by showing there's more to the islands than they think. 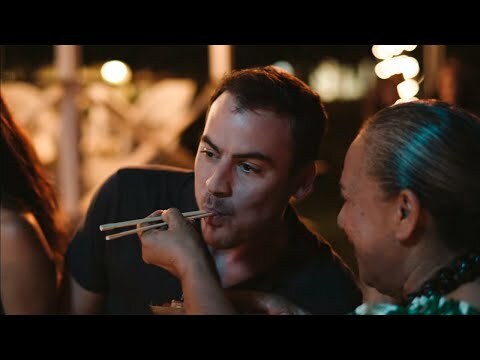 The "Let Hawaii Happen" campaign illustrates that sometimes the best parts of traveling in Hawaii are the unplanned moments in your “planned” vacation. Filmed at iconic locations on the islands of Oahu, Maui, Kauai and Hawaii Island, these four spots show what happens when visitors do what the locals do, go with the flow, and embrace the aloha spirit - in other words, "Let Hawaii Happen." These transformative stories not only showcase the stunning scenic beauty Hawaii is known for, but also the authentic moments of local culture and connection that you won’t find on any map.